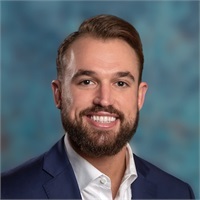 Jared joined Capital Asset Management in 2018. Originally from Brisbane, Australia; he came to the United States in 2010 to attend Oklahoma Christian University on a Golf Scholarship. During the 2013 summer he landed an accounting internship at Crotts Lohrey & Associates PLLC. He graduated in 2015 with an accounting and finance degree and shortly after received his security licenses: Series 7, Series 66 and health and life insurance. He began with Thrivent Financial as a financial planner. Tax planning was an important piece and he was inspired to join Joshua Jenson CPA PC for a tax season where he focused on combining tax efficient strategies and financial planning. Jared returned to Crotts Lohrey & Associates PLLC in May 2018 to provide financial and tax services. Jared lives in Edmond. Golf has always been a great passion. His favorite memory of college was enjoying with his teammates winning the 2012/2013 NAIA Golf National Championship. Jared attends Vintage Church and is a part of a men’s bible study Wednesday mornings. In his spare time, Jared enjoys keeping physically fit, practicing yoga and traveling.